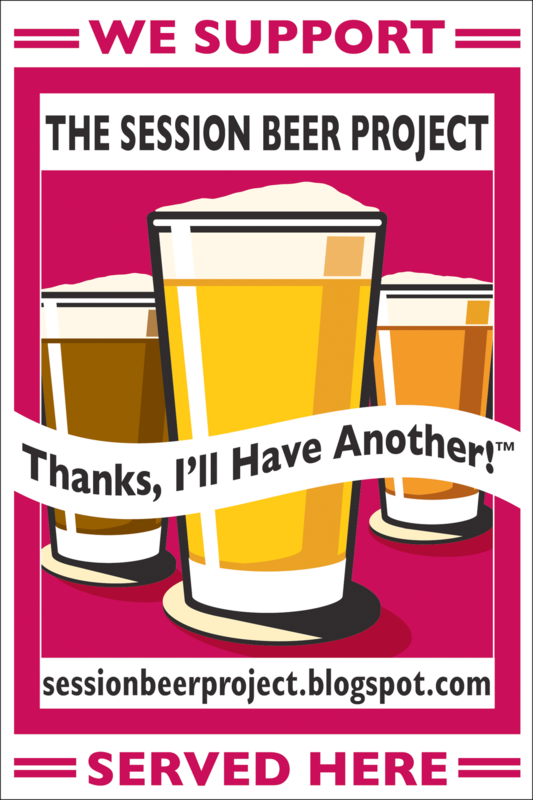 We've mentioned the Session Beer Project sticker a couple times. It is for sale at CafePress here. It's $3.74 plus postage; less than a buck of that goes to me. I'm not even sure why any of it goes to me; but it's minimal on all the merch there (including the big SBP hoodie I'll be wearing on Session Beer Day). The reason I bring it up is because there are now two of them out there (and it only took three years...). Piper's Pub in Pittsburgh is now proudly displaying one, as seen below. This is the regular model; there is also a clear one now. Great way to show your sessionality!